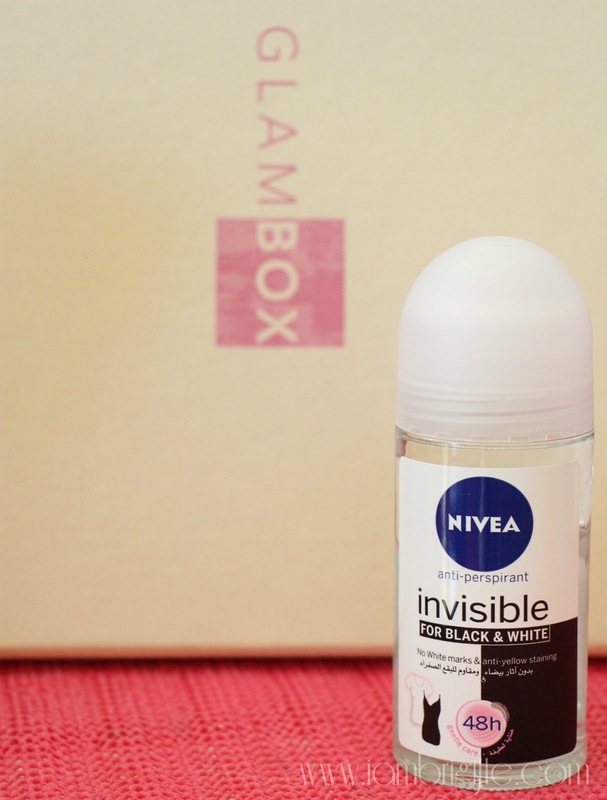 IAMBRIGITTE : Unboxing my March Glambox…. My 3-month Glambox subscription ended last January and with their Bliss-exclusive box last month, I wanted to kick myself for not continuing with my subscription! I love receiving beauty boxes, it's like Christmas morning when you get this lovely pink box with a little, or no clue at all as to what's waiting for you inside. 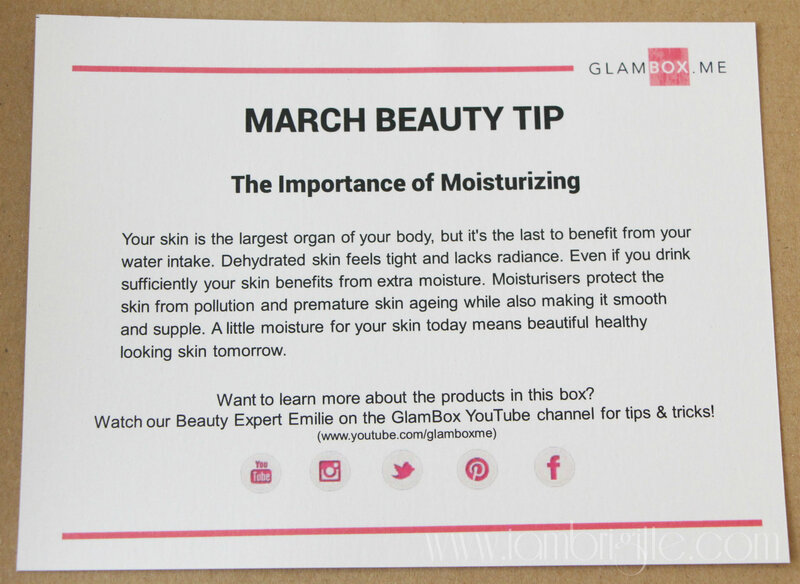 For this March, I got a complimentary box from Glambox (thanks, Glambox Middle East!) and it was like Chrismas morning once again. 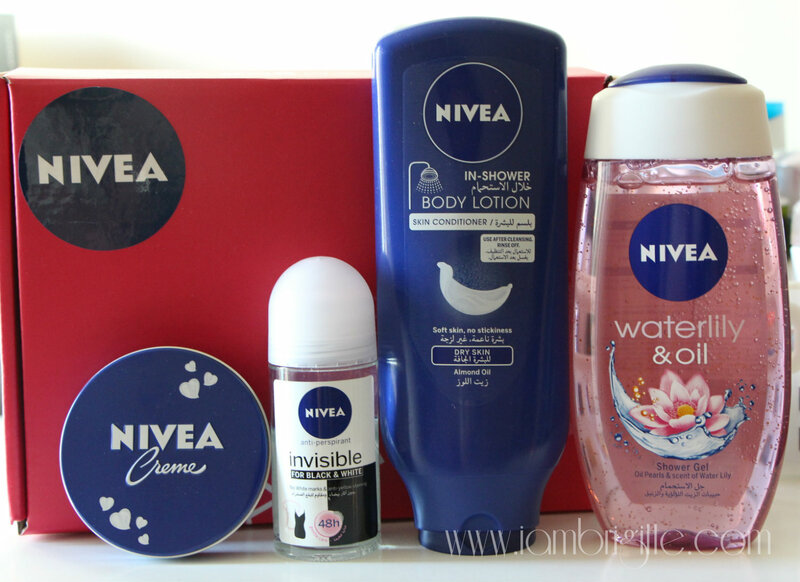 For this month, their box is yet another exclusive box and this time, it's from a brand that has been a household name for many years…NIVEA. I've reviewed this late last year (read my post here) and I never let myself get caught without a backup of this ever since. 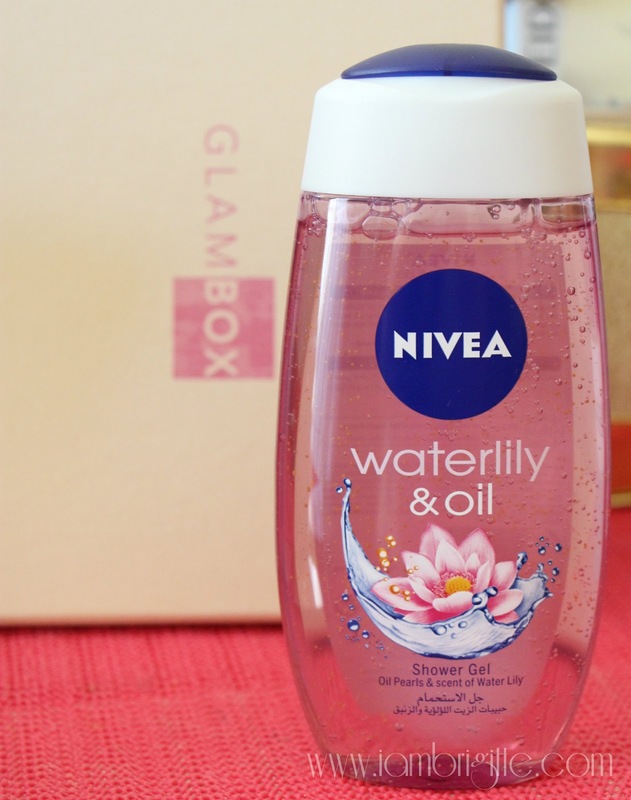 I love how this makes my skin moisturised longer even after taking a really warm shower. It's non-sticky and smells great too! This smells so girly and fresh that I always look forward to taking a bath because of it. Would you believe I showered twice one evening when I first got my hands on this? I already took a shower early evening and when the husband came home with this in tote, I sniffed on it and well, decided to take a shower again! 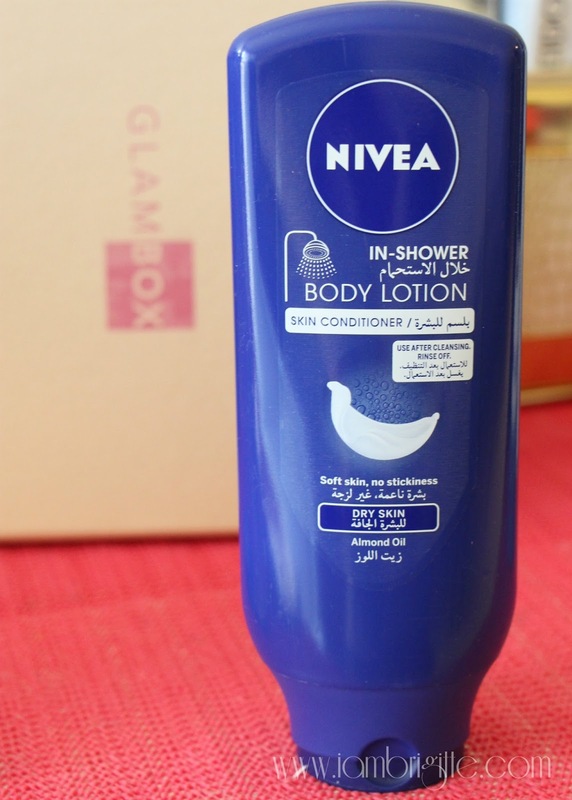 Like any other NIVEA product, this one keeps skin hydrated and leaves skin smelling great! I'm a user of NIVEA's deodorants, specifically the whitening variant. I was given a loot bag of this variant last year but unfortunately, I wasn't able to try it because I was in the middle of moving to another country! LOL. But I had some friends try it for me and they indeed swear by the product's promise that you no longer need to worry about staining your black/white garments in the underarm area. The product has the promise of keeping you dry and smelling great all-day, while also protecting your garments from stains. With this variant, Black stays Black and White stays White. Now, that I have a bottle for myself, I am trying this out as soon as I finish my deodorant. 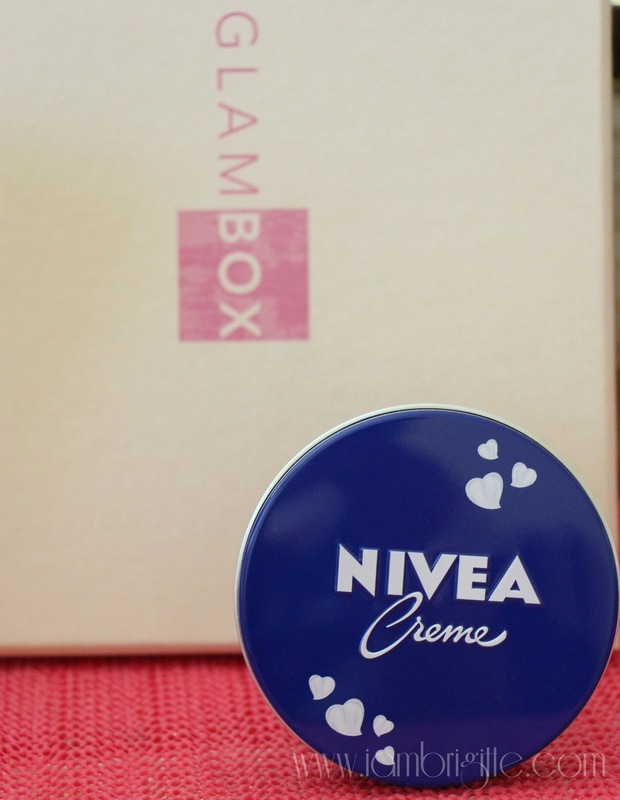 And last, but definitely not the least…is the NIVEA Creme. Oh, this made me think of those days when my mom would lovingly apply this cream on my skin years ago. I can still remember how she would tell me to always take care of my skin by keeping it not only clean, but also moisturised. My mom is such a skincare junkie and she takes care of her body, no wonder she doesn't look her age! I'm a user of NIVEA creams, most especially their whitening and moisturising variant (sorry, I'm such a sucker for anything whitening!) but after seeing this familiar blue-tin, I think I'd be back to using this again. Besides, would it be not good to be reminded about the days with your Mom whenever you use this? 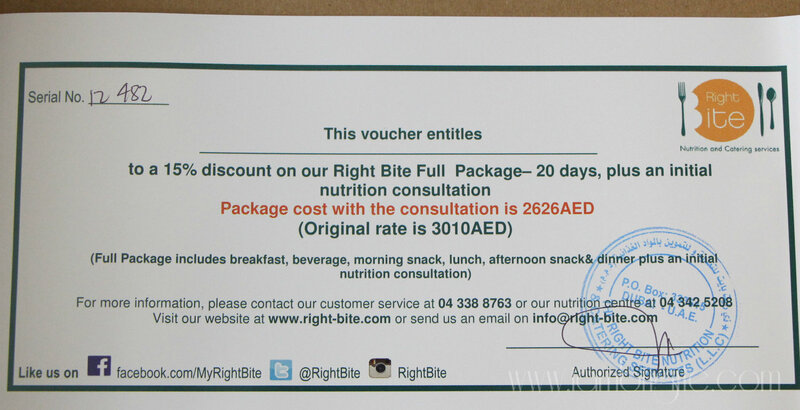 Oh, this box also includes this voucher that entitles you to get a 15% discount on Right Bite Full Package. This actually reminds me of the South Beach Meal Plan I tried years ago. If you are trying to watch your diet but doesn't really have the time to prepare your food, then this one's for you. 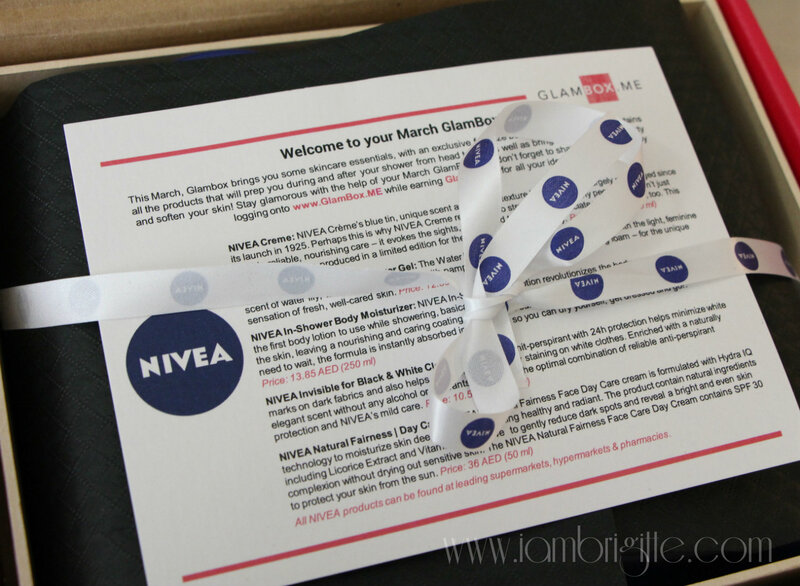 So, did you like your March Glambox? I've read that some aren't too happy. Well, the thing about these beauty boxes is that, you always get surprised whenever you get your box and open it. Sometimes, the items are good and sometimes, they are not. It's just like getting presents too! I'm pretty sure you had your share of experiences of getting presents that you didn't particularly like. I know you pay a price for these boxes but come to think of it…sometimes you do get overwhelmed too with what's in it, right? And I think Glambox are always ready to hear your thoughts about their boxes. Do drop them an email in case you are having problems or any issues with your subscription and they will be of help in a jiffy. I encountered a problem too during my 3-month subscription and I was entertained right away when I sent them my complaint. They even made sure to make up for the hassle too! By the way, I am now back in my home country (the Philippines) for a three-week vacation so please do bear with me if I won't be able to update as much here. Do follow me on Instagram account: Iambrigitte for more frequent (that can be too frequent at times hahaha) updates.